There are many qualities and skills that go into being an excellent Real Estate Professional - integrity, in-depth community and market knowledge, being a marketing specialist, effective negotiation skills and a high-quality professional network, all of which are hallmarks of how we work. We are your local authority and marketing specialist for all your real estate needs. At Performance Realty Estates & Homes, every client is partnered with an area expert with an exact understanding of local market conditions. As the Broker, I am trained by top marketing experts in America. This is our way of insuring the best real estate experience for every single client while securing absolute top dollar for your home. Whether you are looking to buy or sell your first home, ready to find the next home to meet your family's needs, or are interested in real estate for your investment portfolio, Performance Realty Estates & Homes is expertly prepared to handle all of your real estate needs. That said, in my experience as a Riverside & San Diego County real estate professional, I've also found that providing the very best service is essentially about putting my clients first. This means keeping myself accessible, being a good listener as well as a good communicator, and responding quickly to your needs. Ready to find your next home right away? You can search for current listings and receive detailed descriptions and photographs of many available properties directly from our website. You can also customize your search by area, price, or property type. We have many homes available that are not yet listed on the open market allowing our clients priority access. To receive early access to homes before they are released, call me to be added to receive our Priority Access List. 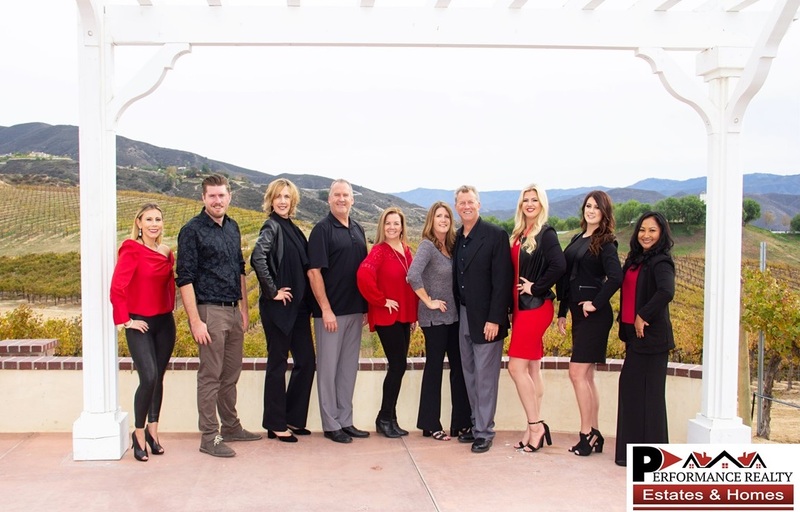 Let the Jim Holbrook Team (Jim Holbrook, Nicole Holbrook, Shane Rone, Kay Cadmes, Mike Deckert, Michele Wyckoff and Paige Callahan) be there to assist you every step of the way. Thinking of selling your home? We use several proprietary marketing plans to get the greatest exposure for your home, resulting in the highest selling price possible. To receive a customized marketing plan to increase the value of your home, simply call to request the Pre-Sell Marketing Plan. When selling your home, it's important to know that the ONLY way you can increase the sales price of a home is to increase exposure. The more buyers you can get interested in your home, the more it will sell for. That's the basic law of supply and demand. Your job as a homeowner is to list your house with a well-trained marketing professional that can demonstrate their ability to market your property to the absolute best prospective buyers in an effort to get top dollar for your property. We use targeted marketing approach to increase sales price of each individual house. Meeting for just 20 minutes will immediately show you the difference in your overall sales price by working with someone that knows how to create MASSIVE exposure for your home. If you find yourself in a position that you HAVE to sell your home as a Short Sale (upside down mortgage) due to job loss, job transfer, or cannot afford the mortgage as your interest rate adjusts, please know that we have the knowledge, experience, and track record to get your home sold. So when you decide that you'd like to buy or sell a home in any of the Inland Empire areas, San Diego or Orange Counties please contact me and let my team assist you in one of the biggest decisions of your life. please contact me.